How Big is the Threat to Europe From Jihadis Fleeing Mosul? New piece for Newsweek looking at the potential threat from ISIS post-Mosul (which has still not yet fallen). The piece was actually drafted a little while ago, but took some time to land. Separately, spoke to Politico about Italy’s approach to counter-terrorism and a presentation at a UK Foreign Office conference got picked up. Finally, my piece for the Financial Times Beyond BRICS blog got picked up and translated into 中文 for those who can read it. There is a presumption that the fall of Mosul will result in a surge in attacks and terrorism back in the West. Europe in particular feels like it is in the group’s crosshairs, with the refugee flow potentially masking a threat that will only magnify as the group loses territory on the battlefield in Iraq and more fighters want to leave the Islamic State militant group (ISIS). But this presumption is based on a potentially flawed set of assumptions about what will happen next and an understanding of how the terrorist threat has been evolving. Europe may face some terrorist incidents linked to a failing ISIS or other groups, but this threat is likely to simply continue much as before. It is unclear why ISIS would have waited until now to launch a surge of attacks. Historically speaking it is hard to know where to look for a comparison with what we see happening in Iraq, and therefore what a precedent might look like. The most obvious comparison is the conflict in Afghanistan against the Soviet Union. In wake of Moscow’s defeat, there was a chaotic situation in Afghanistan from which a flow of trained and ideologically motivated revolutionary warriors headed around the world. This produced extremist networks that expressed themselves in attacks for years to come under the banner of Al-Qaeda as well as insurgencies and civil wars in North Africa. Yet this comparison is not completely accurate for the case of ISIS post-Mosul. The group may be losing one its major cities, but it still has a battlefield in Syria into which it can flow. Its territory there may be in retraction, but even if it loses it, the ungoverned spaces in the country mean it will be impossible to completely eradicate. And to look at a micro-level the individual fighters may make a varied set of choices: some may try to head home; some may seek other battlefields to continue the revolution; and yet others may simply change sides and continue to fight against the Assad regime under a different banner. But more convincing still is the question of why the group would wait until now to mount some sort of attack. The Paris and Brussels attacks showed the group’s capability and intention, and a number of subsequently disrupted plots show the group has been persistently trying, but so far seems to have failed to deliver any more blows. Instead, it has resorted to stirring plots from afar in the form of young people directed through encrypted communications to launch shocking low-tech plots. Some, like the murder of Jacques Harmel in Rouen, worked, while others, like the attempted attack outside Notre Dame cathedral in Paris, failed. And while a lot of these appear to be in France (and in that particular set of cases, directed by the same Rachid Kassim), there have been incidents in Australia, Germany, Indonesia and the U.K. that have similarities. All of this suggests that the group is having difficulty pulling off another large-scale spectacular like Paris or Brussels, and is having to resort to instigating things from a distance. These can be equally atrocious and it is not, of course, impossible something large might still get through, but it is a question as to why the group would have waited until now to launch such an attack. During Ramadan, the highly significant moment in the Islamic calendar that historically has been a depressing magnet for terrorist atrocities, the horrors the group was able to muster were a brutal bombing in Baghdad, alongside an attack on Istanbul’s international airport. Horrors, yes, but in countries where they had substantial presence and ability to launch attacks—clearly something that they were unable at that moment to pull off in Europe. Why the group is encountering this difficulty is likely a product of a number of things. In the first instance, it is clear that one of the attractions of the group was its success and strength on the battlefield. As this has waned, the number of those attracted has gone down. Second, coordination among security and intelligence agencies has likely gotten better; while there are still clear problems within some countries and coordination between their various security forces, they have also learned over time. Which of these is preeminent is unclear, but both will have an impact on the flow of fighters. This is not to downplay the potential threat. One of the under-explored problems is the question of what to do with blocked travelers. As security authorities have faced the threat of terrorism from the battlefield in Syria and Iraq, they have learned and developed a deeper understanding of the nature of the threat and the networks getting people there. This has led to a growing number of people being prevented from traveling. The dilemma, however, is what to do with them then. In many cases, these are individuals who are motivated enough to want to go and fight, but find themselves abruptly unable to. This pent-up frustration can express itself in violence as people feel they want to do something, but are incapable of doing it. A number of attacks around the world have been linked to this phenomenon, including incidents in Canada, Australia, and France. This aspect of the threat may become larger as time goes on and the group becomes more inaccessible, while trying to stir people on further, but again, this is a trend that has been underway for some time already and it is not entirely clear why people would be more keen to do something for a group that was in recession. Of greater concern instead is the potential ramifications to terrorist networks in third countries, like parts of southeast Asia, central Asia, the Middle East or north Africa. While forces in some of these countries are also improving, this has not been uniform and some notable gaps remain. In these places, the relatively easier trip may mean more decide to head home (rather than seek other battlefields or change sides in Syria) and this could produce instability and attacks. ISIS’s potential loss of Mosul is going to prove a significant moment for the group. But the threat from it is unlikely to change abruptly. Rather, the threat is likely to mutate and evolve, continuing to be a part of the fabric of the terrorist threat the world faces for some time to come. 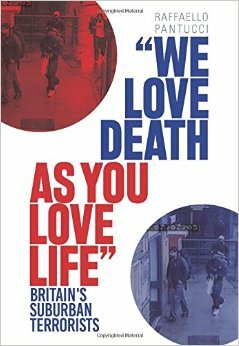 Raffaello Pantucci is director of International Security Studies at the Royal United Services Institute (RUSI) and author of We Love Death as You Love Life: Britain’s Suburban Terrorists. New piece for the Financial Times excellent Beyond BRICS blog, this time providing an evaluation of the links between the Asian Infrastructure Investment Bank (AIIB), the Silk Road Fund and Xi Jinping’s ‘Belt and Road Initiative.’ A lot more on this general topic on my parallel China in Central Asia site. This aside, spoke to the Telegraph about the recent terror attack in Quetta, Pakistan. There has been much speculation on the role of the Silk Road Fund (SRF) and Asian Infrastructure Investment Bank (AIIB) in China’s outward investment push.They are both instruments created by Beijing to provide economic firepower and bring international credibility to the ‘Belt and Road’ vision that has become President Xi Jinping’s keynote foreign policy concept. But in reality they have both undertaken a series of investments that, while substantial and linked to ‘Belt and Road’ countries, pale in size next to China’s overall outward investments. While the AIIB has quite clearly been subsumed into the ‘Belt and Road’ project, the SRF has so far largely focused on commercial projects which are focused on profit rather than national strategy. AIIB has so far made two sets of project announcements. The first were announced on June 24, 2016 and included a $165m loan for a power distribution project in Bangladesh, a $216.5m loan co-financed with the World Bank for a national slum upgrade in Indonesia, a $100m loan co-financed with the Asian Development Bank (ADB) and UK’s Department for International Development (DFID) to finance the Shorkot-Khanewal section of the M-4 motorway in Pakistan and a $27.5m loan for the Dushanbe-Uzbekistan Border Road Improvement Project in Tajikistan, co-financed with the European Bank for Reconstruction and Development (EBRD). A second set were announced in September, including a $300m loan for Tarbela 5 hydropower project in Pakistan, co-financed by the World Bank and a $20m loan to finance a 225 MW power plant in Myanmar, a project which is set to possibly receive a further $58m from the International Finance Corporation (IFC) and $42.2m from the Asia Development Bank (ADB). Of these projects, the only one that is uniquely funded by the AIIB is the power grid project in Bangladesh. All of the others are co-financed, or more accurately, the AIIB has bought into existing projects. Another significant detail is that with the exception of the Indonesian project, all of the projects are ones that can be captured under the broader ‘Belt and Road’ vision – which has three principal strands pushing out across Eurasia: China-Pakistan Economic Corridor (CPEC), Silk Road Economic Belt (SREB), and Bangladesh-China-India-Myanmar Economic Corridor (BCIM). Of the $829m the bank has invested so far, $400m has been invested into projects which fit under CPEC, $27.5m into SREB, and $185m into projects which could fit under the BCIM. In other words, almost 75 per cent of the AIIB’s first projects have been steered towards existing Chinese economic visions. And in many ways, the Indonesian project could also be captured under this banner, given the fact that Indonesia fits into the under-developed 21st Century Maritime Silk Road concept as well (and was the country in October 2016 that Xi announced the concept in the first place). There is very little distance between the AIIB and Beijing’s ‘Belt and Road.’ And in fact, the parts of the ‘Belt and Road’ it is feeding are those parts which are going to ultimately have a resonance on China’s most under-developed regions that are the ultimate focus of the ‘Belt and Road.’ It is therefore hard, on the basis of its first projects, not to consider the bank as a tool of the ‘Belt and Road’ rather than a new independent financial institution advancing general regional development goals. The Silk Road Fund is a more obvious tool than the AIIB. With a total capital of $40bn, the first $10bn was made up with money from the Chinese State Administration of Foreign Exchange (SAFE), which accounted for 65 per cent of the initial funds, Export-Import Bank (accounting for 15 per cent), China Development Bank (accounting for 5 per cent) and the China Investment Corporation (accounting for 15 per cent). Established specifically to ‘promote common development and prosperity of China and the other countries and regions involved in the Belt and Road Initiative,’ the Fund is a commercial entity that is focused on projects that will generate returns. Having laid out this logic, the Fund’s first investments have followed these principles, starting with an investment of $1.65bn in April 2015 to build the Karot hydropower project in North East Pakistan. In September 2015 it announced it would purchase 9.9 per cent of the Russian Yamal liquefied gas field for $1.2bn, and more recently it was revealed it had explored putting almost $2bn into buying Glencore’s Vasilkovskoye gold mine in Kazakhstan. It ultimately lost that deal to another pair of Chinese buyers. Outside these obvious ‘Belt and Road’ deals, the Fund has also invested in ChemChina to purchase Italian tire maker Pirelli, invested $100m into the China International Capital Corp (CICC) a state investment bank that prior to its initial public offering (IPO) in November 2015 was seen as taking losses internationally, and finally pledging some $300m to the IPO of China Energy Engineering Corp (CEEC) an international power plant construction firm. To understand the ‘Belt and Road’ logic of the CEEC-Silk Road Fund investment, it is instructive to look at Mr Xi’s visit to Serbia in June 2016, seven months after the IPO announcement. Mr Xi was present at the signing of an MOU between the CEEC, the Silk Road Fund, China Environmental Energy Investment Ltd and the Serbian Ministry of Energy and Mining. The MoU laid the foundations for CEEC to undertake further energy projects in Serbia, joining already advanced CEEC projects in Lithuania and Bosnia-Herzegovina. Taken as a whole, the Silk Road Fund is a heavier investor in ‘Belt and Road’ projects than AIIB. While the AIIB’s announced deals add up to $829m, the SRF’s amount to at least $3.25bn (not including the Pirelli deal, the exact numbers of which are not immediately available). In addition, the Fund has been reported as considering an investment of between €5-10bn into the European Fund for Strategic Investments, or the so-called Juncker Plan. But all of this pales next to China’s overall outward investment numbers. The Ministry of Commerce announced outward investment last year at $145.67bn and EY, a consultancy, has predicted that this year’s total will surpass $170bn. Taken against this background, the SRF and AIIB are clearly minnows. But they are minnows which have focused on national interest, something that highlights the degree to which the broader ‘Belt and Road’ is aimed at advancing national interest rather than being a benevolent vision for Eurasia. It also illustrates to outsiders that to properly understand how to connect with the ‘Belt and Road’, there is a need to understand China’s broader international ambitions under the vision. Raffaello Pantucci is director of international security studies at RUSI, a think tank based in London.